Andy Weir’s Lunar City at New York Comic Con @NY_Comic_Con #NYCC 2017 #ArtTuesday « Adafruit Industries – Makers, hackers, artists, designers and engineers! When Andy Weir published his first novel The Martian a couple of years ago, it went on to become a major best-seller and blockbuster film. His next novel is Artemis, a crime thriller set on the Moon, and New York Comic Con fans have the opportunity to step right into that story. 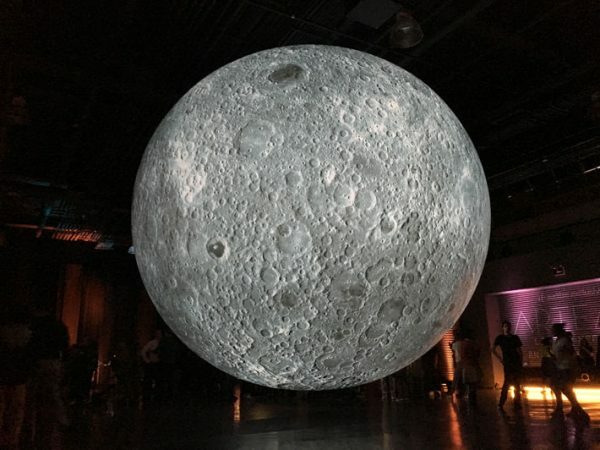 It’s all part of an extensive exhibit put together by Audible to promote the book, entitled The Museum of Artemis: Life on the Moon. The novel follows Jazz, a young woman who runs a smuggling operation out of the titular lunar city. When she’s invited to take part in a scheme that promises a major payday, she suddenly finds herself in the midst of a vast conspiracy, with control of her home city hanging in the balance.